The learning landscape for teachers and students included the integration of digital citizenship and digital literacies. Knowing what elements are included in each of these concepts is an essential first step. Finding ways to immerse the learning into the application of all things digital is how teachers demonstrate and model their expertise in the classroom. Examining current research is also important. In the Ontario educational terrain, some resources are available through the Edugains site. The document 21st Century Teaching and Learning: Digital Citizenship and Digital Literacy is available online and provides some essential research links. From the Innovation in Action series, this video presents work done in the Hamilton Wentworth school district, showing how two classrooms explore digital citizenship concepts. The viewers guide presents some key questions to guide a viewer's understanding. The students learn about copyright in the grade six classroom while the grade three students investigate website credibility. 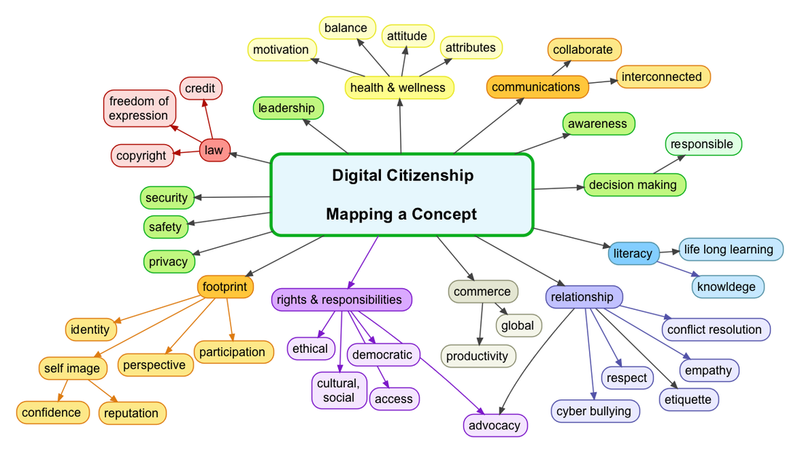 What are some of the benefits and issues for teachers to understand when integrating digital citizenship concepts? Review the digital citizenship resources and materials available through the OSAPAC/CCPALO site - available to all Ontario Educators. Make note of those that may be of use for future teaching experiences.